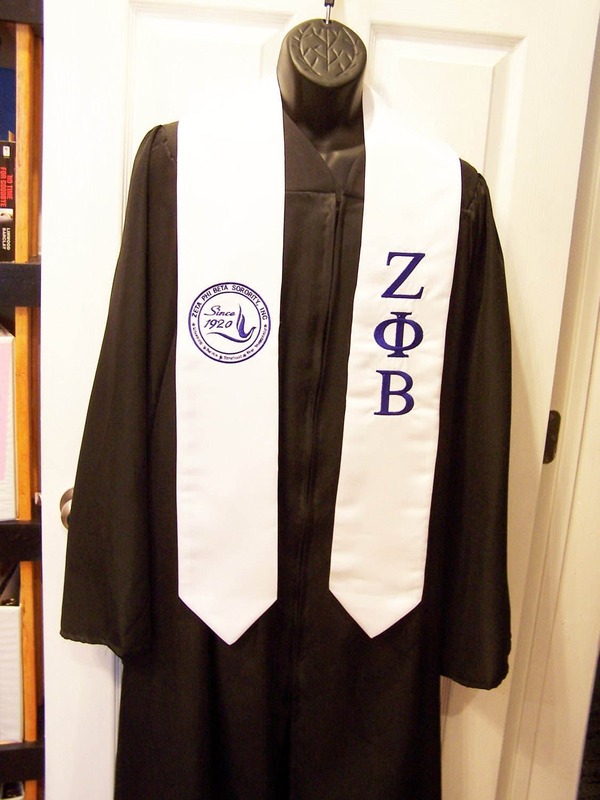 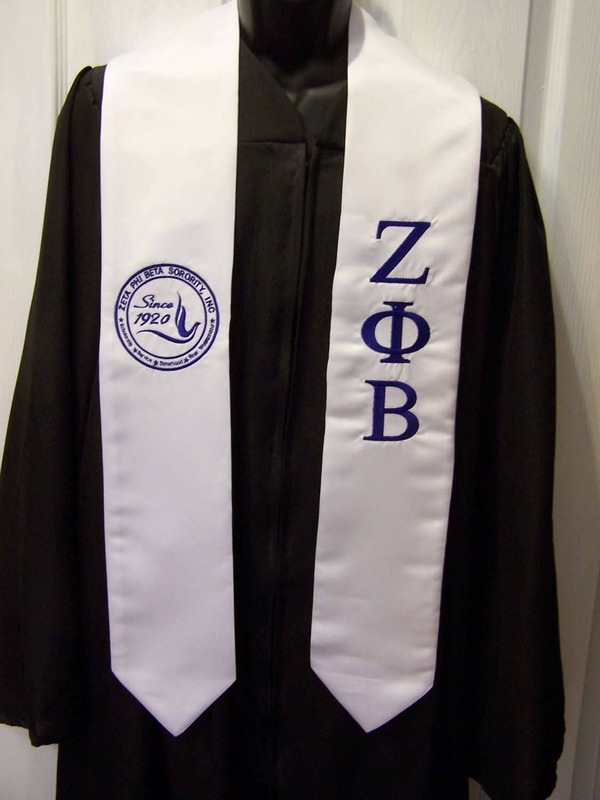 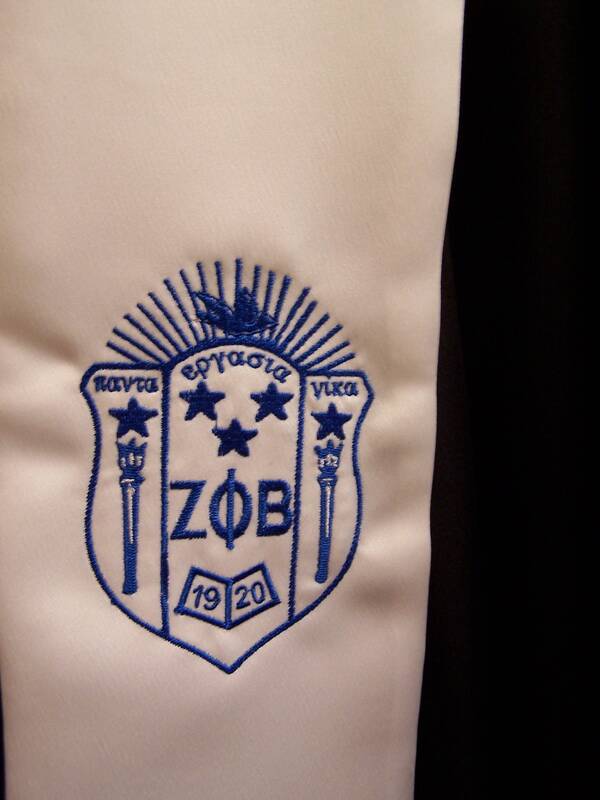 Royal Blue or White Satin Graduation Stole embroidered in white with ZPB Greek Letters on LEFT side and Dove Logo on Right Side. . 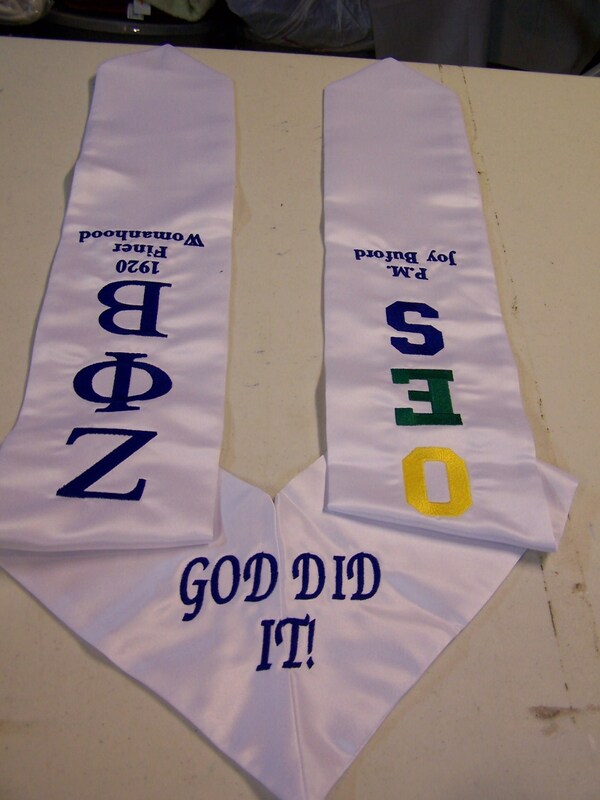 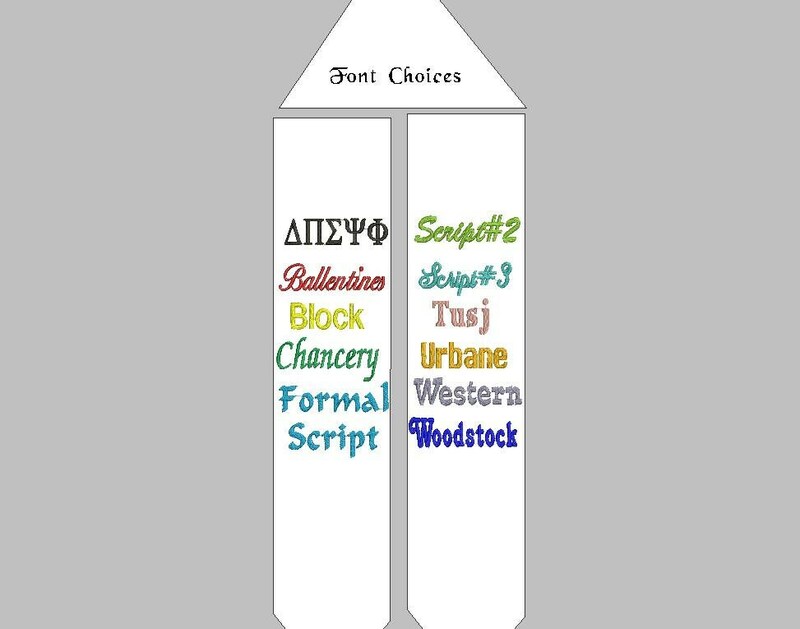 Perfect to use on graduation day to show off your fraternal pride - great keepsake to recognize/celebrate your graduation. 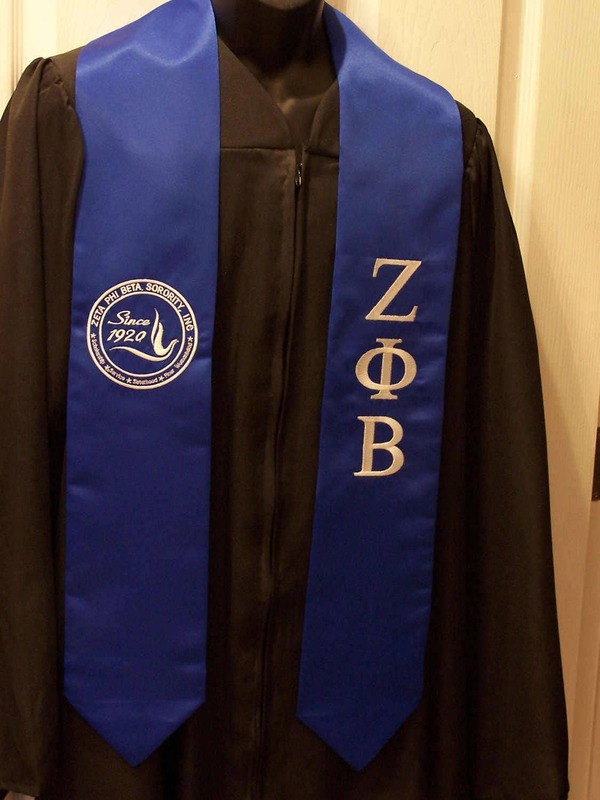 Received 6 days after purchase date and I am very pleased with that. 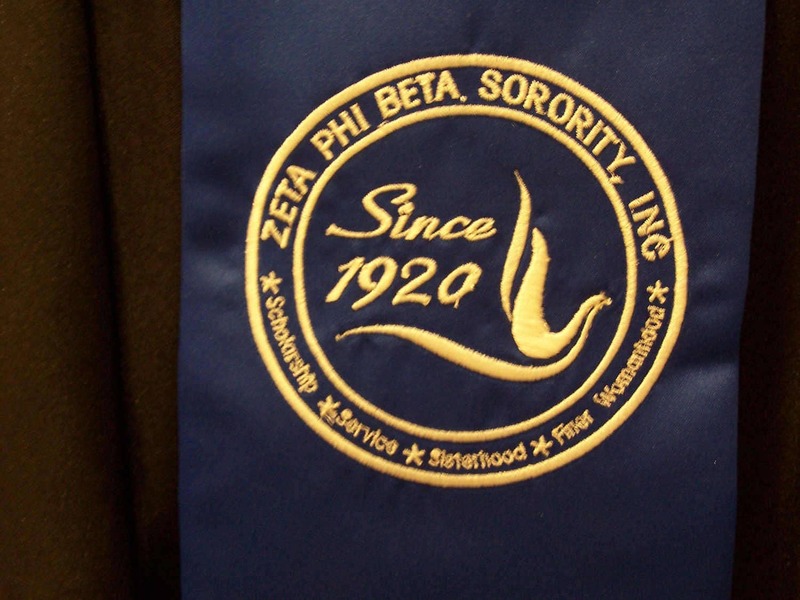 Bought this as a graduation gift for my best friend who is a Zeta and she loved it.